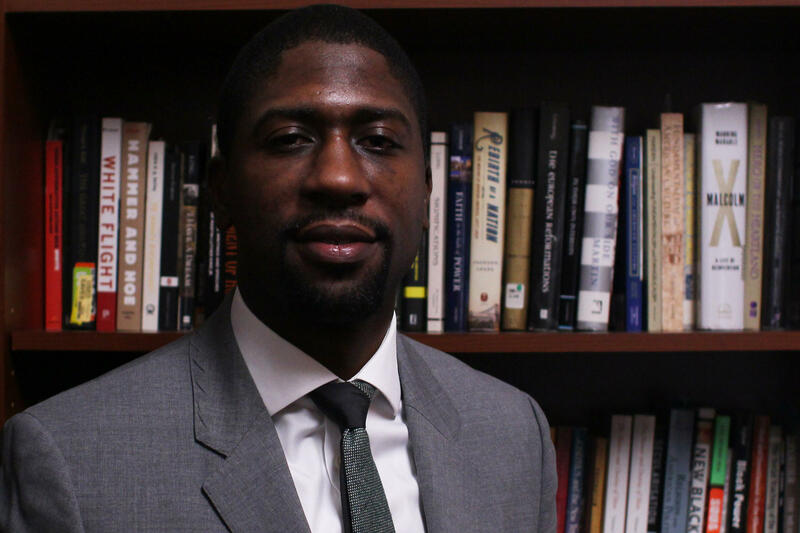 Professor Lerone Martin, Ph.D, holds recording of Rev. J.M. 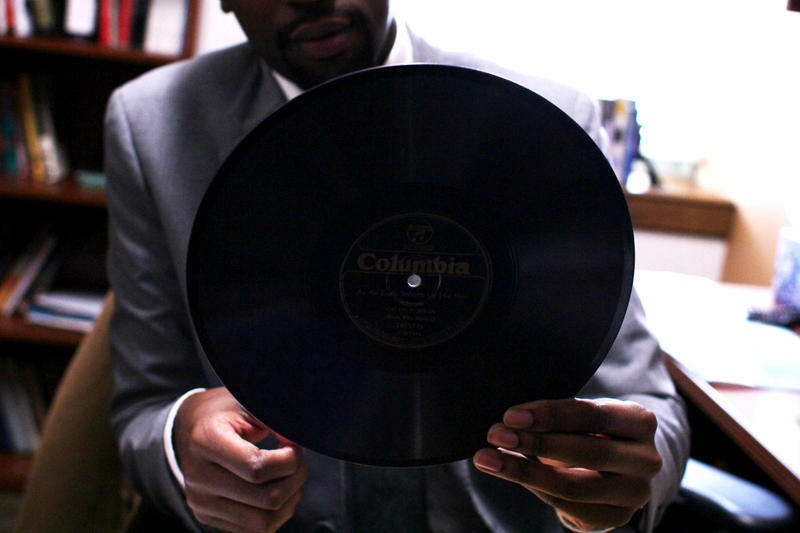 Gates Professor Lerone Martin holds recording of Rev. J.M. Gates released by Columbia Records in the mid 1920s. “It’s filled with people smoking, filled with people drinking, sort of a speakeasy atmosphere. And then they leave and the clergy come in. Then the studio sort of morphs into what I call the studio pulpit. And they begin to perform sermons,” said the Washington University professor. Learn how sermon recordings from the 1920's parallel today's culture wars and paved the way for televangelism. According to Martin, this scene was common in the mid- and late-1920s during the rise of jazz, blues and early religious recordings. Last fall Martin released the book Preaching on Wax, which traces the development of preaching practiced in mass media through the African-American religious community. He argues that early sermon recordings are the foundation for much of the current form and content we see in contemporary mass media religious productions such as reality shows Preachers of LA and Preachers of Detroit which launches Feb. 20 on cable's Oxygen channel. The early recordings were released on hard black wax pressings that look like vinyl records but are thicker and heavier to the touch. The preachers who released these were concerned with the “sinful” content of early blues and jazz recordings that reached major audiences through the phonograph, an early ancestor of the record player. Yet their concern wasn’t only the state of listeners' souls. Preachers were concerned their congregations would be swayed into following the music discussed on many popular recordings. They were also concerned with the external representations of their own culture. Concerned ministers had a choice: Do they decry the entire format of popular entertainment, or do they use it to their own ends? One preacher in particular, the Rev. Jim Gates, chose to enter the fray and lend his voice to the medium. He quickly became one of the top-selling preachers at the time. Martin has documented more than 200 recordings Gates made with 10 companies. Gates was the first to bring members of his congregation into the studio to record the call-and-response technique common in the African-American preaching tradition. Father Daniel Harris of the Aquinas Institute, which gives out an award for outstanding preaching each year, said the recordings hold up even today. For Harris, success at the pulpit, or in the studio, is measured by the congregation’s response. Gates was an adept businessman as well as a talented preacher. He negotiated his recording deals well, getting paid the equivalent of $5,000 per recording by today’s standards, according to Professor Martin’s calculations. Navigating recording deals and compensation are just one parallel between these early recordings and contemporary religious practice in the media. The very concerns expressed by preachers in the 1920s are mimicked by mass media ministers today. Culture wars expressed on wax are similar to those expressed on reality TV, cable, and the internet. Martin said he specifically sees parallels regarding the display of sexuality, substance abuse and legality, and gender issues. “I think there’s a lot of parallels, gender concerns, questions about sexuality, prohibition relates to the legalization of marijuana today,” he said. For him, looking back at these recordings is a way to look forward and anticipate how the relationship between religion and media may continue to grow. Martin will give a talk on his book Feb. 21, at the Missouri History Museum with a colleague from Washington University, Professor Gerald Early. Extended recordings of these sermons are available on iTunes. 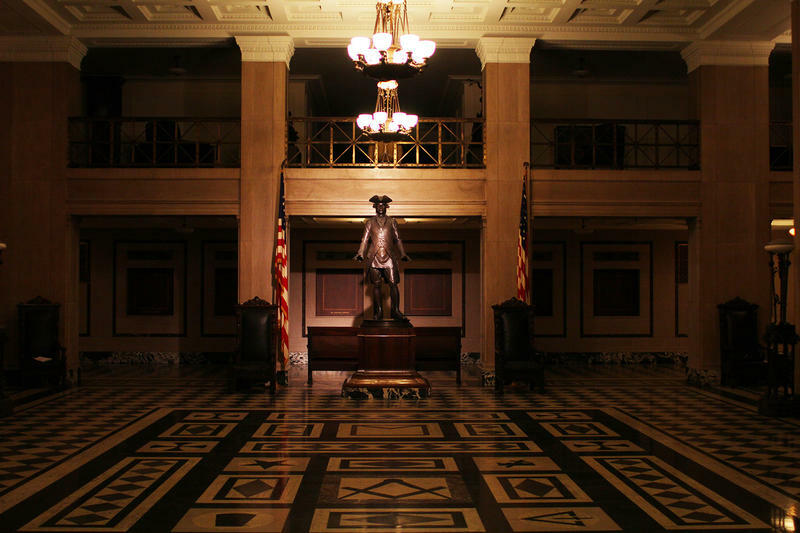 Owners of the New Masonic Temple on Lindell Boulevard in Midtown St. Louis hope the New Year brings renewed interest in the building, which is for sale. Building manager John Vollman has spent years volunteering at the space. “It’s a pleasure to come in here most days. You just feel the history,” said Vollman. Had things gone differently in 1947, instead of the majestic stainless steel Gateway Arch that is recognized around the world, St. Louis could have a rectangular stone gate standing tall on the riverfront today. Or, a large, abstract monument signifying … something. 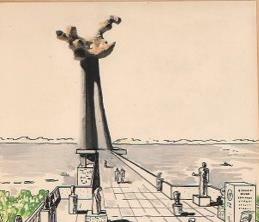 Other suggestions proposed for the Jefferson National Expansion Memorial included towering pylons and bridges. Real estate broker Wayne Keller is showing another curious “looky loo” around an unusual property: the launch area of a Nike missile base that was constructed more than 50 years ago in the countryside of Southern Illinois. From atop this peaceful hill in Monroe County, the U.S. Army once kept eyes on the skies, ready to blast Hercules missiles at Soviet bombers headed for St. Louis, about 30 miles to the northwest.